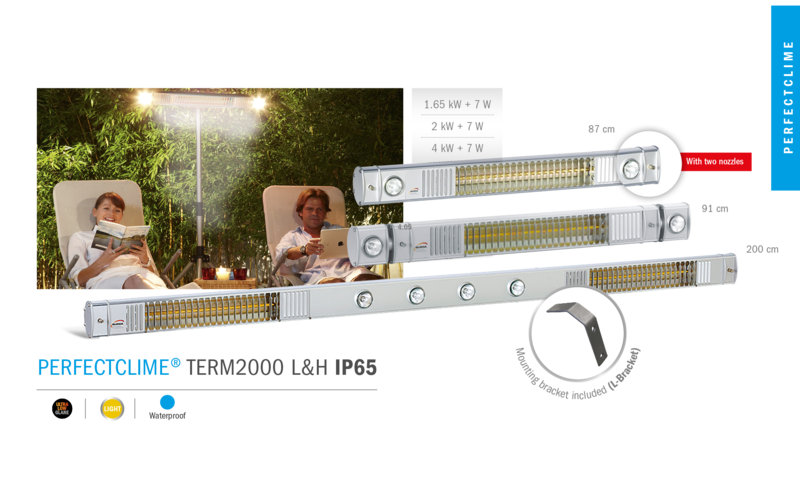 The uni­que com­bi­na­ti­on of per­fect tem­pe­ra­tu­re and light of the PERFECTCLIME® TERM 2000 IP65 L&H gua­ran­tees an indi­vi­du­al “feel good” atmo­s­phe­re. 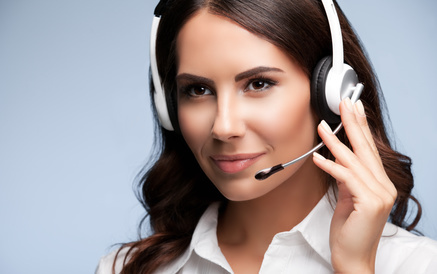 BURDA Per­fec­t­Cli­me pos­ses­ses the patent in Euro­pa for infra­red radi­ant hea­ters with infi­ni­te halo­gen lights varia­ble up to 180°. 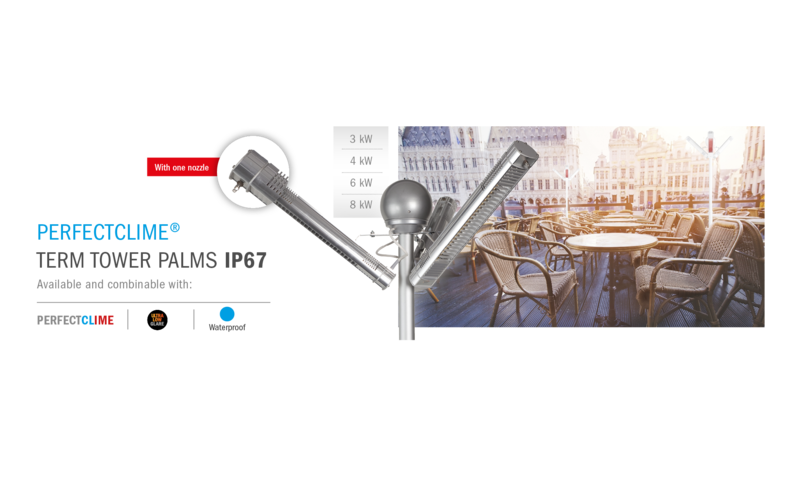 The PERFECTCLIME® TERM 2000 L&H IP65, with infi­ni­te­ly adjus­ta­ble halo­gen spots, is equip­ped with coo­ling noz­z­les on both sides, and offers almost limit­less pos­si­bi­li­ties for use in pri­va­te and com­mer­ci­al­ly used are­as. 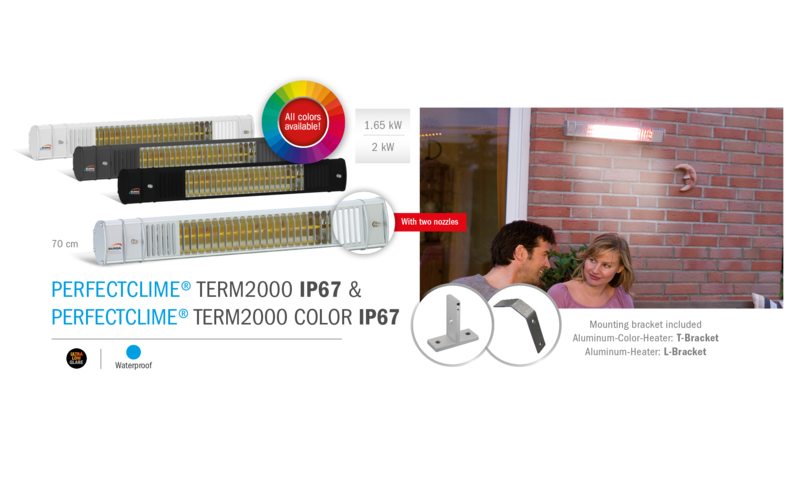 For atmo­s­phe­ric effect ligh­t­ing, the halo­gen lamps can be exch­an­ged for color­ful ligh­t­ing fix­tures. The housing of the water­pro­of Hea­ting & Coo­ling infra­red hea­ter is polished alu­mi­ni­um. 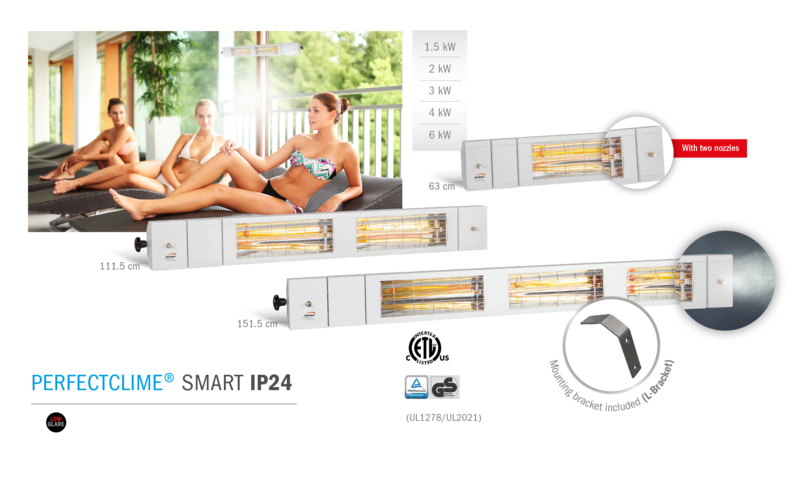 The illu­mi­na­ted hea­ter is avail­ab­le in the per­for­mance gra­des from 1.0 kW to 1.65 kW up to 2.0 kilo­watts, and can optio­nal­ly be orde­red in the ULTRA LOW GLARE ver­si­on with 80 per­cent less red light.